What is Blend and Boost and why is it a revolutionized skincare solution? Blend and Boost has redefined skin care through customisation to cater to your skin’s needs by providing a genuine alternative to mass-produced and conventional skincare. The best way to achieve optimal skin care is by understanding your skin’s exclusive requirements. Blend and Boost believes that each person has their own story to tell through their skin which is why skincare resolutions must be suited to their personal needs. Blend and Boost uses active cosmetic ingredients that are scientifically tested to provide custom-built solutions for each person’s skin concerns. - An in-depth analysis of your skin is conducted using modern imaging technology software and hardware. - A custom-made skincare product with your individual Blend and Boost code is prepared. The formula is then reviewed and modified with time as your skin also changes due to factors like lifestyle, environment, or season. The patent-pending Blend and Boost concept enables you to obtain a custom-made product. This personalized cream is developed by mixing their active cosmetic boosters into a dermatologist-approved cream formula depending on your skin requirements. You are assured of authentic personalization with Blend and Boost as they provide all combinations possible. - Patented technologies offer exclusive and unique ingredients to aid individual skin concerns i.e. acetyl octapeptide-3, Beta-glucans, and hyaluronic liposomes. Blend and Boost have discovered patented technologies that have been created specifically to boost the delivery of these active cosmetic boosters within the skin. The progressive delivery systems enable you to get the most out of the benefits of the Blend and Boost solution. - Antioxidants like vitamin E, vitamin C, Co-enzyme Q10, and Acai extract delay the skin’s aging process and protect the skin. There is sufficient research material showcasing the importance of antioxidants in anti-aging elements of any skin care product. Antioxidants hold a crucial role in combating premature aging and they have been proven to enhance the radiance of the skin. They also reduce the appearance of fine lines, discolorations, and age spots. - Extremely studied, pure peptide molecules improve the skin’s firmness, reduce wrinkles, and act on skin sensitivity through potent activity. Peptides are made of short-chain proteins comprised of amino acids acting as the primary signals by enhancing cell-to-cell communication. Peptides aid the skin’s repair mechanisms, they decrease any signs of aging, and are good for sensitive skin. - They use natural vegetal ingredients extracted from renewable sources i.e. aloe vera, blackcurrant oil, and mango butter. Conventional uses of various plants have been supported by scientific research for their benefits in skin care. Blend and Boost has ventured into this extensive biodiversity to hand-select natural, safe, and pure ingredients possessing tested beauty benefits to revitalise and hydrate the skin. - Individual boosters are personally selected from newest dermatological innovations. The combinations work in coordination with potent science-backed ingredients, and advanced delivery systems to target particular skin concerns. Blend and Boost is all around the world, so to find a Blend and Boost provider near you click here. *All opinions are based on personal experiences. Skincareblogger is not a skincare specialist and will not be held liable for any recommendations. Therefore try at your own risk. *This is NOT a paid post. * These products were gifted to me to review. Products being gifted does not impact my thoughts on the products. * I have NO affiliation with the links provided. That supple, soft and cuddly skin you are wishing for is not a mirage. It is achievable, when and only when you take care of your skin with the right products. Elucent skin care products are tailored for rejuvenation of the skin and to keep off the fine lines. The ingredients of each skincare product are carefully selected for safety and efficacy. In addition to the use of Elucent skincare products, remember to eat balanced diet and drink plenty of water for total body wellness. Clinically tested, these products’ owners have used scientific methods to ascertain what they claim. Therefore, rest assured you can trust them, they also do not test on animals. We all know sometimes price of products can keep us away, but Elucent skincare products are very much affordable so don’t stress. Elucent has two skincare ranges: the anti-aging range and the whitening range. As soon as we check out of the teenage years, the skin begins to feel the effects of the accumulating years. The environmental elements such as the sun rays, wind, the cold among others now cause more and quicker damage and signs of aging on the skin becomes apparent in almost a blink of an eye. But, should we be helpless and let the skin deal with these issues on its own? Absolutely not! It is only prudent to let the experts make suitable products that let us take of the skin. Of course the skin will be grateful for the TLC and respond by glowing and looking young and bright. Elucent skincare products which are owned by Ego Pharmaceuticals and the anti-aging range to be particular, uses a combination therapy of alpha hydroxy acids (AHAs) and vitamins to keep the wrinkles and the fine lines as far away as possible from your skin. The AHAs work by helping the old cells of the skin to exfoliate to reveal a younger layer of healthy skin cells. The skin sheds off the dead cells but it definitely needs assistance to keep the skin cells renewal even. AHAs also accelerate the process. Further, the AHAs enable the skin cells absorb moisturisers when applied for a prolonged, radiant look. To supplement the work done by AHAS, are vitamins. Vitamins E, C and B3 work on the finer things such as ensuring the free radicals generated in the body are neutralised before they cause you harm. For a complete care of your skin, invest in the anti-aging gentle cleanser to gently exfoliate your skin, the moisturiser which is SPF 50+ to protect you from the sun rays, the eye cream for bags-free eyes, the serum and of course the body moisturiser for whole body skin care. This range of products is meant to keep your skin even toned. Walking around with hyper-pigmentation spots doesn’t flatter anyone. In addition to the B3, C and E vitamins mentioned earlier, the manufacturers have also incorporated safflower seed oil and phyllanthus emblica fruit extract in the whitening products. They are all powerful antioxidants and the seed oil will moisturise and soothe your skin. For the last month I've been reviewing Elucent skincare again, but this time I tried a few different products in my regime from the last time, if you interested in reading my last Elucent blog post then click here. Overall, I have loved all the Elucent products, I have seen reduced pigmentation on my top lip and pigmentation fading around the tops of my cheeks where my sunglasses wouldn't cover, and these results were just after just 1 month, so I'm very impressed (see pictures below week 1 to week 4). In this one month I also didn't have clinical peels or laser to have the most accurate results I could. I have sensitive skin and found no problems with any of the products though I would say, if you have never tried any products containing AHAs, I would ease onto the cleanser or water down the solution til you build a tolerance. The spot corrector couldn't have come at a better time. I always get the hormonal acne once a month and I find those spots are the ones that scar my face even if I don't pick them. So I'll definitely continue you the spot corrector. The Moisturiser I used in the morning was fine, it had a SPF smell but wasn't over barring. I prefer the night moisturiser but I understand that I need an SPF throughput the day, It had a nice feeling on the skin and I don't think it have a heavy feeling at all, though my skin is dry at the moment. So, go on and spoil your skin with these products which are all made in Australia. Available at your local Chemist Warehouse, My Chemist and the Ego online store. *This is a paid post. Skin is the largest organ of the body and is what we display to the world. This means investing in the right products for your skin is not a luxury but a necessity. We owe our skin that much for the protective role it does to keep off bugs and other harmful things such as, chemicals from gaining entry into the fragile inner organs. Therefore, whenever you are out there shopping for products to maintain a healthy skin and look good while at it ☺, practice due diligence to ensure you get the right products for your type of skin. Further, it helps to know the story or stories behind those beauty and skincare products. One company you should consider for wholesome care of your skin is the Tatcha Skincare. Tatcha skincare range of products consists of serums, cleansers, masks and so much more. So, what is their story? In most instances, it is only when one is faced with a challenge that they are able to think out of the box for possible solutions. This is the story of Tatcha. Victoria Tsai, the founder of Tatcha suffered from dermatitis. As she faced this problem, she became more aware of the importance of what goes into the skincare products. Endowed with a purpose and decade old experience working with large corporations, she headed to Japan to seek out a holistic approach to skincare. An engagement with a geisha revolutionised her thinking. She learned time-tested skincare secrets passed from the ancient Japanese. Of course these were all documented in a guide. This special guide is the cornerstone of Tatcha. Armed with the magical ingredients, she sought out modern scientists to put in the modern technologies to ensure maximum efficacy and safety. As a result, Tatcha collection of skincare products is unveiled. In addition, the story goes beyond beauty. From all the purchases, a percentage goes towards funding of underprivileged girls education in Africa and Asia. Such stories are inspirational and show a company’s values and beliefs that are more than skin-deep. Tatcha skincare products are inspired by ancient Japanese beauty and skincare rituals. Therefore, if you seek that line of products you may consider Tatcha. The products are categorised for each skin type including the sensitive skin. Besides manufacturing products for the regular skin, the company also has products for problematic skin conditions such as eczema, hyper-pigmentation and enlarged pores. The ingredients mostly comprise natural herbs and plants and their derivatives. For example, some of the ingredients used in Tatcha products are green tea, peony and pearl. Green tea extracts are known for the anti-aging properties because they are rich in anti-oxidants. Peony is a beautiful flower that has been hailed for its superior anti-inflammatory, immune-boosting and moisturising advantages. These are the ultimate skincare properties that everyone would wish for. The cherry at the top has got to be the pearl. For a porcelain-like and glowing skin, the pearl’s ground powder contains minerals and amino acids that reinforce the natural collagen for a replenished and firm skin. After years of buying and trying every moisturiser out there, this one is like no other. A super gentle yet nourishing gel moisturiser that literally feels like water on the skin - no stickiness, or heaviness! and absorbs instantly. This is in my top two ever... I have tried over 10 cleansing oils in my life and I find this one is perfection, removes excess oils, mascara, stick foundation and doesn't leave a film on my skin. I also love the packaging. I use this in my skin care regime and also after I have applied my makeup. The spray is so light so you aren't left with little wet patches on your skin. Gives me such a dewy complexion with or without makeup. Highly recommended, leaves my face feeling intensely hydrated. It doesn't have a strong scent at all. I like to apply it after I get out of the shower and before I apply my water cream. I have seen a change in my skin, the clarity on my cheeks and defused redness from my rosacea, overall giving my skin that healthy glow. I would definitely repurchase. If you are located in Australia, Tatcha is available at Mecca so click here to view there extensive range of products, for the rest of the world click here. * Images were taken from Mecca website, click images to take you to the source. 30% Lactic Acid Peel Using Ultra MD Skincare Products. 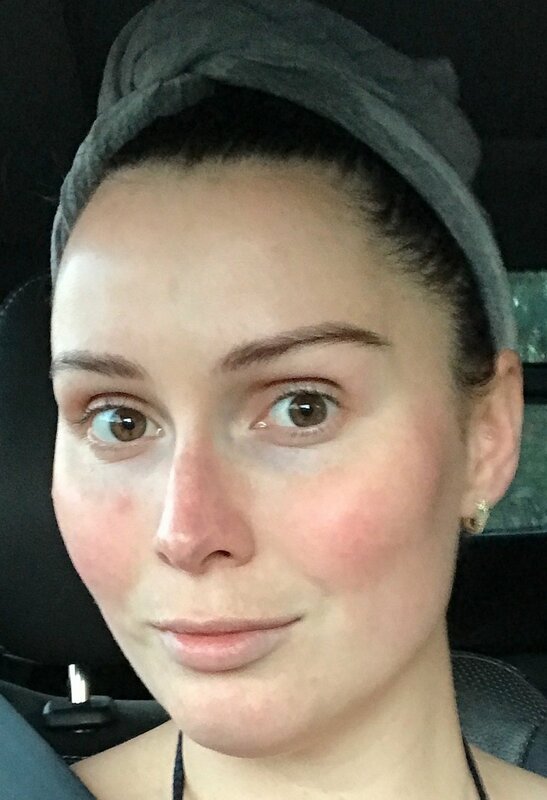 I started my consultation at Total Face Group with a skin analysis from the lovely Vanessa, she seemed very polite and knowledgeable, I expressed my concerns about my rosacea and she knew exactly what treatments weren't beneficial to me. We took photographs of my skin without make up to see how my skin looks on the surface and beneath the surface using advanced technology. This type of technology shows you concerns you may not have known about since they are below the surface, for example I have pigmentation on my top lip and around my hairline which I cant see when im makeup free. The photos also let you see where you have excess oil production, redness, enlarged pores, uneven skin etc. Knowing that I have mild rosacea and some pigmentation, Vanessa suggested we do a Lactic Acid Peel, Lactic acid is mild enough for rosacea but it still effective at evening out skin tone (although you may need more than 1 treatment). The peel I was going to be having was using all Ultra MD Skincare products which is the sister company to Ultraceuticals. This Ultra MD range can only be bought from clinics as you need to advised by a skincare professional as to what products to use. Using these products without guidance could cause further damage to your skin, so make sure you see a skincare professional. Post Peel Care which consisted on Ultraceuticals Ultra C Firming Eye Cream, Ultra MD Rich Moisturiser Cream, Ultraceuticals Ultra Protective Antioxidant Complex, Ultraceuticals Ultra A Skin Perfecting Serum. I had dryness around my lips and the perimeter of my face, including the forehead. It felt as if I needed a to give my face a good scrub. I could also see darks dots that were flaking off, if you look closely there is one on my left cheek and left side of my forehead. Skin felt smooth and shiny, no more dryness on the face. Lip pigmentation is still there but looks alot better. Also with the naked eye I can no longer see pigmentation in my hairline. I am also aware that pigmentation will no go completely away with one treament. Overall, I'm very happy with the lactic acid peel, my skin felt smoother and looked clearer. I'm also very happy that it didn't aggravate my rosacea. The place itselfs looks a little outdated, and I hated the fact then when you walk past reception to sit in the waiting room you pass an office that is completely open, no door or wall. My skin therapist was lovely, though I did hear other staff talking about what they were having for lunch from the waiting room. To find out what other treatments Total Face Group offer click here, or to find a clinic near you click here. * This treatment was gifted to me to review, and does not impact my thoughts on the treatment. * Main Image was taken from Ultra MD website. * All personal images are mine. My Review of Grown Alchemist. Grown Alchemist, an Australian skin care brand with an array of products made from ground-breaking scientific formulations is a welcome addition to the vast array of beauty care products already in the market. What makes Grown Alchemist beauty products special though is their formulation. They contain natural peptides and antioxidants that enhance skin renewal and diminish the effects of anti-aging. But just because you hear scientific formulations should be no cause for alarm as the products are 100 % organic. These range of beauty products from creams, to oils, cleansers, moisturisers and anti-aging serums all work to renew, cleanse and moisturise the skin from within. So go on and stimulate your inner beauty with these organic, clinically proven formulations that lessen fine lines and wrinkles giving your skin that beautiful, glowing, youthful skin. 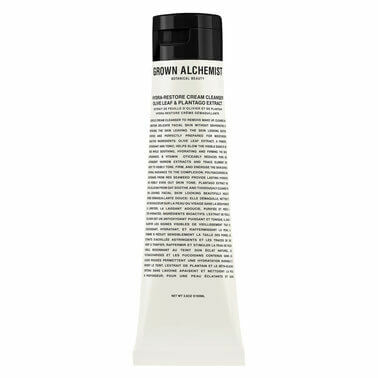 Grown Alchemist skincare range with all-organic ingredients was the brainchild of Australian brothers Keston and Jeremy Mujis. They effortlessly fused together scientific formulations and natural ingredients to produce an all-organic beauty skin care range that optimises the health of the skin above all. These certified natural botanical ingredients and powerful natural formulations provided the ultimate beauty results without the damaging effects of artificial ingredients. They ethically assembled the products into beautiful packages and made them all-affordable across the divide. The result has been a sustained wave of uptake into the market owing to their great results on the skin and pocket friendly prices. Owing to their success, Grown Alchemist now have devolved cosmetic chemists based in London, New York and Paris. These are dedicated in the in their quest for perfect beauty formulations for all. Beauty is natural so should everything that enhances it. Mother Nature already has ingredients discovered by the two Australian brothers that came together and cleverly fused them for our own benefit. Thanks to them hairs now breathe better, our skins are glowing with health and vitality and our general outlook has improved because when you look good, you feel good! That said Grown Alchemist viewpoint on cleansing is about eliminating impurities as opposed to natural water-binding formulations that keep skin saturated and tight. They believe that by organically optimising the functions of the skin, the skin on its own is able to achieve real beauty results. A double cleanse routine comes highly recommended as it first, removes make-up, and effects pollution and daily dirt build-up on the skin. This is followed by a second skin cleanse that leaves the skin fresh, clear and well-adjusted. The result is a radiant, youthful skin. Grown Alchemist beauty care products range include: specially formulated skincare cleansers, serums and anti-aging moisturisers; body care exfoliants, body washes, and oils; and professional hair care treatments, volumizing, anti-frizz, detoxing, strengthening, nourishing and hair colour products among others. Firstly, before I get started on individual product reviews, how beautiful is the packaging of all the Grown Alchemist products, I love the brown glass and the simplicity of the design, plus every single item I tried smells so nice and botanical. I throughly enjoyed using the Grown Alchemist regime I must say. The Grown Alchemist products I reviewed are from Mecca. A beautiful creamy cleanser that goes a long way, I was able to remove my makeup using this cleanser and it didn't hurt my eyes either, though I did find I needed a little more help with my mascara, so I use this as my secondary cleanse. This cleanser is enriched with olive leaf, vitamins A and E, quercetin, rutin and kaempferol to fight visible signs of ageing, yarrow extract to tone and firm, red seaweed extract to even out tone and texture and plantago extract to cleanse and tighten pores. Even with my sensitive skin I found this cleanser to be extremely gentle and it did not irritate the skin. I thoroughly enjoyed this cleanser and will continue to use until it runs out. This cleanser retails for $49 for 100ml and I have been using this cleanser twice a day for the last 4 weeks and I'm not even half way through. A lightweight yet potent facial mist infused with a whole host of skin-loving botanicals to treat skin beyond the surface level. I spray a few pumps morning and night after my shower, I love the smell very botanical with a hint of lime. I was skeptical of the small size of the bottle, I thought this won't last very long, especially with my heavy hand when it comes to misting, though it lasted 1 month using twice a day and heavily spraying my face too. This mist retails for $30 for 30ml. This did not irritate my skin either, I always worry about trying new products because you never know which ones will cause me to flush if I'm unaware of the ingredients, none of the Grown Alchemist products I tried made me flush or irritate my skin, which is a good sign. This products retails for $95 for 40g, which seems very small but it is extremely worth it. This is my favourite product for the ones I've listed here today. This is a night moisturiser that is a rich thick cream consistency that feels like nothing on your skin when applied, you will not feel this product on your skin once absorbed which is almost instantly. You will wake up with your skin feeling nourished, hydrated and refreshed. I also noticed that my skin looked as though I didn't have any rosacea concerns which is amazing. This cream contains so many beneficial ingredients such as neuropeptides that act to boost collagen and elastin levels, increase cohesion and stabilization of collagen networks and reducing degradation of collagen structure to minimise the appearance of fine lines and wrinkles, it also is infused with frankincense extract to calm and soothe, violet extract to even skin tone, antioxidant-rich green tea extract to fight damaging free radicals, omega 7 to heal and hyaluronic acid to plump and hydrate. This product I apply twice a day, morning and night, and at night I follow with the Regenerating Night Cream: Neuro-Peptide & Violet Leaf Extract, this in conjunction with the moisturiser has totally changed my skin, I will be inserting a photo below that wasn't intended on going on my blog so I do apologise for the background and its unprofessional appearance, but you can see my skin just looks a whole look clearer, from pigmentation and redness from old acne scars and signs of dehydration are gone. This product retails for $65 for 30ml, and I'm not even 1/4 through yet and it's been a month using twice a day. Overall, I'm so impressed with Grown Alchemist, the brand actual excites me and I can't wait to try more products from them, I never thought I'd say that cause I usually try so many cosmeceuticals type of products, and tend to not review many organic products. See the picture below to see what you think, although I do have a birthmark in the centre of my forehead and a small pimple on my cheek. This image was taken straight after I had a swim, hence the t-shirt wrapped around my hair. To see more products from Grown Alchemist click the link here if you are from Australia, and click here for international. Available in store at Mecca. * Main Image was taken from Grown Alchemist website.